DUBLIN, Calif., Oct. 3, 2017 /PRNewswire/ — The Reutlinger Community, a premier provider of continuum of care senior living options, announced today that it has made Pixie Smart Pads, an FDA registered device for UTI monitoring, a standard of care in their community. Reutlinger recently completed Pixie’s Early Access Program, during which incontinent residents wore the disposable Pixie pads several times per week. Biological data from the pads was automatically available to remote medical professionals, who could then make decisions using established care pathways to reduce hospitalizations and improve antibiotic stewardship. Care for UTIs in adults with cognitive decline is reactive in today’s care pathways. The similarity of UTI symptoms to those of dementia, combined with the difficulty in communication, often result in delayed treatment as well as hospitalizations for sepsis, falls, and other complications. Data from Pixie Smart Pads can help inform medical professionals to initiate follow-up care at the right time. Pixie Smart Pads act like a canary in the coal mine, warning of potential dangers as a senior’s biology begins to change. 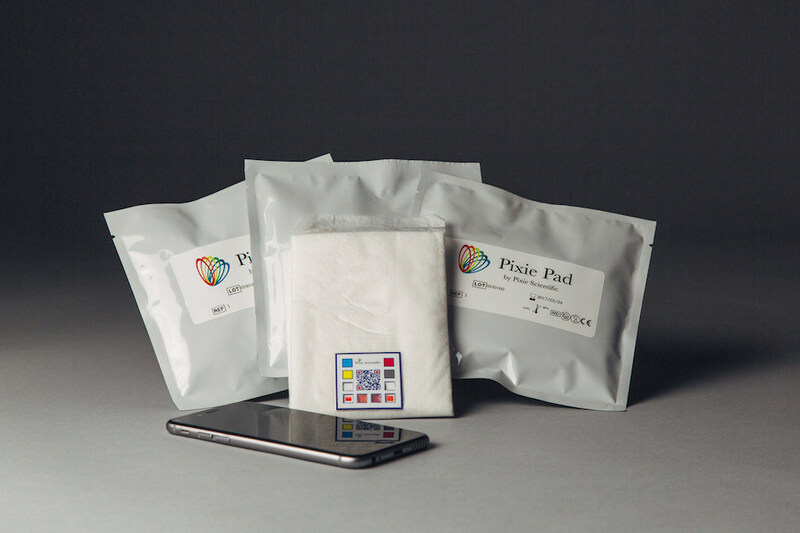 Pixie Scientific has been developing the Smart Pads for four years. They completed a clinical trial and FDA registration in late 2016 and have been actively commercializing the technology since. Senior living communities, home care organizations, and nursing homes have been receptive to the new approach to keeping seniors safe and out of the hospital. In the post-acute setting, Pixie enables providers to meet forthcoming regulatory requirements for infection surveillance and a reduction in preventable hospitalizations. The Reutlinger Community, ranked five-stars, has been a leader in adopting emerging technologies that can improve the lives of its residents. As a member of Aging 2.0, the community taps into a pipeline of innovation and integrates technologies that can work smoothly together to improve the lives of its elderly. Pixie Scientific aims to connect people to better care and reduce hospitalizations with continuous health monitoring. Using biosensor technology, combined with mobile and cloud infrastructure, Pixie is making Connected Care a reality. Information that is available sooner for caregivers and physicians keeps residents and patients safe and out of the hospital, while also helping to improve antibiotic stewardship. Established in 1950, The Reutlinger is a non-profit senior living community that is proud to offer a true continuum of care from Independent Living, Assisted Living, Enhanced Assisted Living, Memory Care and Skilled Nursing, including Short-term Rehabilitation. Located in the beautiful rolling hills of Danville, CA. The Reutlinger offers a full range of activity programming in every level of care, seven days a week, and welcomes people of all faiths and backgrounds, with an emphasis on Jewish values. For more information please visit www.rjcl.org.